Are Data Mining Sites in Poker Truly Harmful? 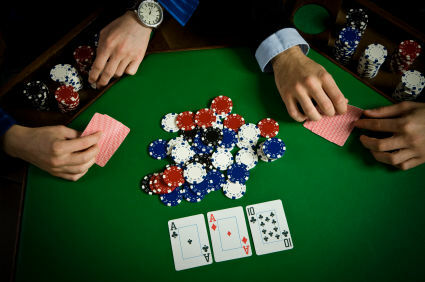 We know that poker is a pretty big game online, with millions of players logging in to play. They want to know the ins and outs of what they’re up against, including the competition. You can pick up statistics on individual players and even general statistics. These are stats that can give a pro serious advantage over other players. Yet Bodog, a top casino, has decided to take a stand to block data mining sites. The policy is about a year old at the time of this writing, and it’s designed to protect the causal poker player. Contrary to popular belief, not every player really wants to be a rockstar at poker. They want to log in, play a few casual games, and otherwise have a good time. They want to be able to really make sure that everything is in order. Some people disagree with this, but you have to understand what the casino is thinking. The top players on a casino site aren’t depositing as much as causal players. Why? They don’t have to — their winnings on the tables actually cover them quite nicely. The ones who have to refill their online account more often are casual players. That’s the whole point — you’re going to need to look into the type of player you’re attracting to the tables. Casinos do this day in and day out, and they want a high ratio of casual players to “sharks”. That’s how the money keeps flowing in. The casino really wants to have recreational poker players feel like they are at home, but will still upset players over time? A lot of players eventually get better and they want to make sure that they can really check out the competition and refine their strategy. It just depends on the casino — some casinos seem to be friendlier to sharks than others. There’s always going to be sharks, and being critical of sharks isn’t doing you any favors. If you’re going to play online, you have to realize that sharks are part of it. Don’t get caught up in being unable to take care of yourself — you can do anything that you set your mind to. We think that Bodog means well, and this is their way to carve out a “difference” in the market. Whether players feel comfortable or not is up to them, in all honesty. Keep playing, keep learning, and keep having a good time — that’s what poker is really all about. Many of the most popular online slot machine games feature characters from popular films, television shows, and other pop culture sources. The famous Rocky slots include characters from the iconic films, with Sylvester Stallone as “The Italian Stallion”, Talia Shire as “Adrian”, and Burgess Meredith as “Mickey”. The Rocky slots also feature images related to the champion’s numerous opponents, including Carl Weathers as “Apollo Creed”, Mr. T. as “Clubber Lang” and Dolph Lundgren as “Ivan Drago”. In the bonus games, players can watch the classic matches and win bonus cash. This game is a true “knockout”!